We are very lucky to have the Executive Director that we have- this business is more than his job, more than his passion, it is his life. He lives for this sport and our state would not have the ATV opportunities that we have without him. 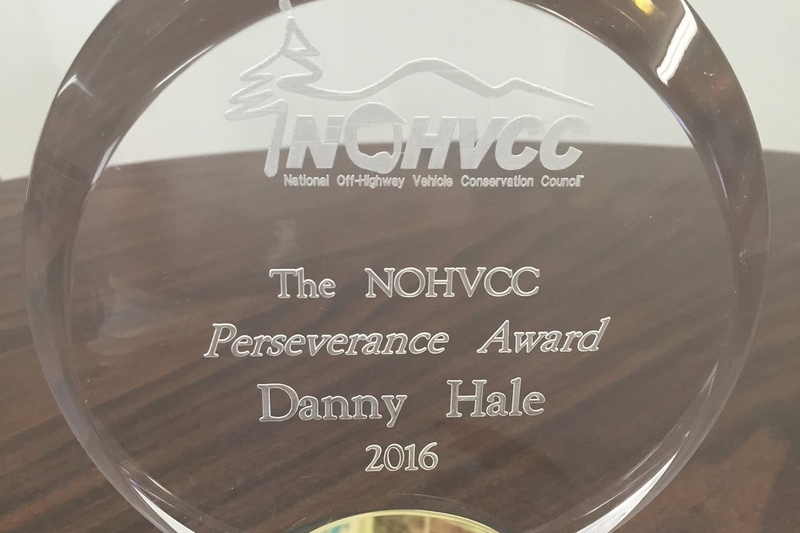 Recently, he was awarded at a national level by Nohvcc (The National Off-Highway Vehicle Conservation Council). We are very proud. Way to go Danny Hale! Thank you for all of your hard work.